Founded in 1844, febi bilstein is a manufacturer and supplier of auto parts for the independent aftermarket. The range covers more than 22,000 oe quality technical parts for all makes and models of European light, commercial and heavy goods vehicles. The very high quality standards are constantly represented in the internal production of the parts on the dennepetal site. As a ground liaison specialist, febi bilstein offers you access to a complete program of steering parts (arms, links), suspension (ball joints), metal rubber parts and wheel bearing. Product range: - ground connection, - distribution and accessories - engine cooling, - electrical parts - braking, - wheel mounting, - liquidsfebi is a trademark of the bilstein group. Today n ° 1 in europe, mister-auto employs more than 120 employees specifically dedicated to the service of your car! Bosch windshield wipers, bosch brake pads, air filters or spark plugs and a large number of original auto parts are available from our online catalog! So do not wait any longer and check our online catalog right now! Easy and convenient, find in a few clicks the bosch parts and accessories you need. The brand castrol was born in 1899 thanks to its founder charles "cheers" wakefield. The original name of the company in its early days was "wakefield oil company". It was not until 1909 that it was renamed castrol. Currently the brand belongs to the group bp (british petroleum). The brand is globally present today, both in the field of passenger vehicles and sports. The contitech brand is a division of the Continental Group. The firm specializes in rubber technology worldwide and develops components and parts primarily for use in the automotive industry. Thus we find products such as: - timing belt- belt accessories- tensioner roller. The company and delphi brand is specialized in manufacturing and designing auto parts. Originally from America its headquarters is based in Michigan, in Troy. Its fiercest competitors are bosch and valeo. Despite this shining profile, delphi barely escaped bankruptcy in 2006 by closing 21 of its 29 US production plants. Its product range is wide and deep. Delphi therefore offers parts such as: - brake pads - brake discs - suspension arms - steering ball joints - air conditioning compressors. For nearly 100 years, kyb is specialized in hydraulics used in various industries (aeronautics, maritime, railway) high-speed train shinkansen in Japan integrates in its design a system of semi-active suspension kyb. Kayaba has 15 factories in Asia, Europe and the United States. More than 1 million kyb shock absorbers are made every week. Kyb also supplies products such as suspension springs, suspension kits and protection kits. The kyb group employs 11,370 employees worldwide. The schaeffler group brings together the brands luk, ina and fagen 2009, more than 180 sites around the world. Products of the brand luk: - a whole range around the clutch kit: clutch disc, pressure plate, clutch stopper, damper, clutch cable, pilot bearing, guide sleeve, high performance grease. The flywheel- power steering pump- vacuum pumps- automation of the driveline. The company mann filter is marketed around the world. The products developed, manufactured and marketed are: - air filter - intake systems - oil filter - cabin filter - fuelmann filter filter, it is more than 1500 references vl. History of the brand: 1999: creation of the company mann + hummel france. The premises are located in Geneva and Argenteuil. 2001: acquisition of iso / ts 16 949 certification in May at the development and production sites of laval and grenay. 2002: the group buys solvay and thus acquires the activities "engine air supply and technical parts". The group is now called mann + hummel automotive france2006: grouping of the group's activities on one and the same site: louverné (laval). Monroe is an OEM that was born in 1916 for the first time. The brand specializes in the design and manufacture of cushioning parts for light vehicles, trucks and even trains. It was really only in 1926 that Monroe launched its first shock-absorbing shock absorber. Since then, the firm is present all over the world. This is the most famous brand in terms of shock absorber. Here are some examples of auto parts monroe: shock absorbers. The skf france group has been present in France since 1908 and today it has 10 production, research and development sites. Skf develops and manufactures wheel bearings, seals, services and related products: - integrated wheel bearings - tapered roller bearings - small size deep groove ball bearings - seals - cardansskf, 179 patents registered in 2008. Trw is an American company that was founded in 1902. Trw provides complete quality parts and systems of origin for automakers, and for the independent market worldwide. Trw is: - brake systems and brake components oe quality (original equipment): brake pads, brake discs, brake caliper, etc ... Steering and suspension: bellows, steering ball joints , racks, suspension arms, etc. Valeo designs and manufactures components, integrated systems and modules for the automotive industry. Valeo is 4-pole: propulsion: transmission system - electrical systems and systems for hybrid and electric vehicles - engine control systems and thermal systems loop systems: thermal passenger compartment - thermal systems of the powertrain compressors - modules front face comfort and assistance to the driving: driving assistance - interior and interior controls - access control mechanisms: lighting systems, engine wiper systems, and so on, the top product of valeo is: - brake pads - brake discs - headlight - wiper - clutch kit . Aisin, with more than 94,700 employees and 192 associated subsidiaries around the world, is ranked # 5 in 2015 (oem). This Japanese company is part of the toyota group. Based on the `quality first` philosophy, aisin produces water pumps, clutches, transmissions, engine and hydraulic parts for toyota, mitsubishi, mazda, nissan, honda, daihatsu, hino and isuzu brands as well as as European and Korean brands. The strength of the group lies in its unmatched ability to understand technologies and combines a broad range of product and production capacity. The aisin group wishes to transcend the limits of each product with a fresh vision on the creation of products with high added value that its customers appreciate for their safety, performance, design and comfort. As a world leader in Asian cars, aisin has been developing original equipment and aftermarket products for more than 50 years. Now you can also benefit from this know-how for European brands as well. The aftermarket product range comprises 5 groups: - clutch products - engine cooling products - braking products - brake products - transmission products. Ate was founded in 1906. Ate is the continental brand, teves, which is one of the world's leading suppliers of the automotive industry. The brand is present in 75 countries. Ate is present in the technical innovations that are part of the standard equipment of vehicles. Ole bardahl is the creator of the company bearing his name. For the record, in 1935, in Seattle, the latter conceived a revolutionary lubrication process based on the phenomenon of polarization. This principle thus makes it possible to protect the moving metal surfaces thanks to the properties of its invention aimed at maintaining an anti-friction, anti-wear and anti-corrosion film; even able to withstand strong pressures. This is where our products are designed for the automotive, industrial, agricultural and DIY sectors. Bendix is ​​a brand of the honeywell group that supplies the automotive market with original equipment and replacement friction materials and brake products. Some products: - many brake products under the brand name bendix: - brake pads- brake linings- brake discs- brake hoses. Beru develops products in the fields of ignition technology and diesel cold start technology. Major automakers and engine builders around the world are sourcing from borgwarner beru systems gmbh. The products sold by beru are, for example: - spark plugs - glow plugs - lambda probes - ignition coils - important dates in the history of the equipment manufacturer: 1912: creation of the candle manufacturing plant lighting by julius behr and albert ruprecht. 1929: research and development, then, production of the very first glow plug for diesel engine. 1975: Launch of the first glow plug that reduces preheating time to 20 seconds. Over the years, other factories are emerging in Germany and other international countries. 1989: The original production site in Ludwigsburg develops and produces ignition coils. 2000: the group created this year the branch beru electronics gmbh in bretten responsible for developing and producing electronic components and calculators. 2005: Borgwarner, a major American equipment manufacturer, becomes the majority shareholder of the group. 2012: beru celebrates 100 years of innovation and innovation. Access to a complete Asian and American vehicle parts solution The blue print brand is historically a company of the mazda cars uk group. This heritage brings you expertise and legitimacy in Asian pieces. Blue print offers you access to a range of quality products for all parts for Asian and American vehicles: filtration, distribution, braking, clutch, engine cooling, steering and suspension, electrical parts. You benefit from a comprehensive program with more than 22,000 references for Japanese, Korean and American vehicles, as well as new products for the latest vehicles. Product range: - engine cooling - braking - distribution and accessories - clutch - exhausts - ground connection - engine management - electrical partsblue print is a trademark of the bilstein group. 20 years of experience in the world of auto parts, allow mister auto a careful selection of the best parts: bolk is an exclusive brand mister-auto. Bolk is a range of more than 2000 references. You find on each of the bolk parts a conformity to the original quality and the standards in force on the market. Thus, you can find confidently car parts of bolk brand such as: - brake pads - brake discs - clutch kits - suspension or steering ball joints - ignition or preheating plugs benefit from really low prices all over the world `year thanks to our full range of bolk product! Established in 1923, the bosal group is Dutch. Bosal supplies most car manufacturers. Bosal is: - exhaust systems - a wide range of towing - roof bars and drifts - jacks and tools, including auto parts such as: exhaust pipe (rear) central silent catalytic converter coupling. The brand bougicord belongs to the French automotive equipment manufacturer electricfil. The company, founded in 1936, was originally specialized in overmoulded electrical cords intended to supply the home appliance market. In 1959, the company went to the automotive market by patenting the technology of anti-interference motor. That's how the brand bougicord was born. Today she is specialized in ignition and automotive electricity. Bougicord designs and produces auto parts such as: - Ignition coil - Set of spark ignition wires - One of its main competitors is the equipment manufacturer Beru. Brembo is an Italian brand located in Curno. 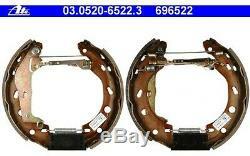 The company is specialized in designing and manufacturing self-motorcycle braking system. But it was not until 1974 that the brand manufactures its first brake discs. In 1980, brembo revolutionizes the brake shoe in the manufacturer in very resistant aluminum. Cevam presents a wide range of products available for the European fleet including Japanese vehicles. Today the company is present in 3 different countries and employs more than 130 people. Alternators: 500 references for the European car fleet. 300 references for the Japanese car fleet. Starters: 300 references for the European car fleet. 200 references for the Japanese fleet. The transmissions: these are also bellows kits, universal bellows and new suspension spheres, cardans. 1986: the brand launches the renovation of alternators and starters. 1993: the brand starts producing signals. 1994: the brand is established in Spain by launching cevam iberica in barcelona. 1999: cevam buys the company grea; Transmission specialist for more than 40 years. 2005: creation of a production subsidiary in poland called elsam. Some car parts in the product range: sealing rings (simmerring®) valve stem seals, integral sealing rings, combined and engine mounting cassette seals, suspension and gearboxes cylinder head gaskets, peripheral seals dishes and pockets for flexible cabin brake filter engines. Dayco is a leader in the design and manufacture of transmission systems in the OE market. He is also very present on the aftermarket. The company and brand elring offers a wide range of mechanical parts suitable for the engine seal market. Elring is the brand name of the elringklinger ag group, which is a leader in the automotive industry. The following brands are used in the following brands: alfa romeo audi bmw citroën chevrolet chrysler dacia daewoo daf daihatsu deutz dodge fiat ford honda hyundai ihc iveco kia lada lancia land rover man mazda mercedes-benz mini mitsubishi mwm nissan opel peugeot porsche renault rover rv saab scania seat skoda smart ssangyong suaru suzuki toyota vauxhall volkswagen volvol`history elring: 1879: paul lechler is the founder of a trading house for technical items in stuttgart. Later this house will become the current society. 1885: a construction workshop is set up in Vienna in Austria by Richard Klinger. 1994: the companies elring gmbh and richard klinger gmbh merge to give birth to elringklinger gmbh. 2000: new merger between elringklinger gmbh and the parent company zwl grundbesitz- und beteiligungs-ag. The group is renamed: elringklinger ag and is now listed on the stock exchange. 2009: elringklinger ag celebrates 130 years of existence. 2012: the group is now present in 19 countries and has 42 production sites. The brand Ferodo is specialized in automotive braking. The brand team for example originates from the manufacturer volkswagen. Some examples of a range of auto parts: - brake pads ferodo first use for 50 years of materials that ensure a perfect match between vehicle braking technology and full compliance with the standards of approval oe. Ferodo sl ferodo brake pads with the sl plate far exceeds the r90 standard. Compatibility abs tcs also, ebd. Ncp-ferodo noise-canceling brake pads thermoquiet the particularity of that proposed is to have a noise-absorbing product surrounding the metal support. Gates is also very active in the industry sector. Thus, the manufacturer specializes in the design and manufacture of belt drive system. Some examples of products: - distribution kit - timing belt - tensioner roller - alternator belt. Hella is an automotive supplier with headquarters in lippstadt (germany). Hella has 70 production sites, 3,000 engineers and technicians working in research and development. The company supplies major automakers, system manufacturers, and automotive aftermarket. Hella offers a range of four worlds: - air conditioning - lighting - electronics - electricity, to name a few, we find the following auto parts: rear light alternator radiator engine compressor clim. Hertz-buss is a company created in 1925. It is divided today into two entities: elparts and jakoparts. At the beginning, while automotive development was just in its infancy, hertz-buss was providing insulation and friction rings for the ignition systems. The slogan of the brand is this: our parts are always simple! Knecht is a designer and manufacturer of motor parts and filters for the automotive industry. The brand is attached to the group malhe aftermarket. Group present in 24 countries with over 1500 employees. He specializes in the design of the following filters: - air filter - oil filter - fuel filter - cabin filter. Lemforder (zf group) offers a range of products for light vehicles and trucks. Lemforder vl is 1600 references for the range of light vehicles that meet the requirements of the market including a very high resistance to corrosion, high temperatures and mechanical stresses. Some products of the range lemförder: ball steering ball joint, steering rod support motor silent suspension block wishbone repair kit (axle body). The company lizarte was born in 1973. Its activity is centered on: - the remaking of mechanical directions, power steering, service pumps and air conditioning compressors. The manufacture of new suspension spheres for builders: Citroen and Peugeot. She specializes in the remaking of manual steering. 1983: lizarte begins to manufacture the spheres / accumulators for citroën. 1992: Beginning of the standard exchange on assisted steering. 1997: Beginning of the standard exchange on the steering pump. 1999: lizarte obtains ISO 9001.2001 certification: start of standard exchange on air conditioning compressors. 2003: lizarte obtains iso ts 16949 certification. In the same year, the brand sponsors the Navarre cycling tour. Steering and ground connection: steering and suspension parts, shock absorber, steering assistance pump, steering rack, silentbloc transmission: steering bellows, transmission bellows, gimbals and propshaft engine environment: clutch kits, water pump, fuel pump, exhaust, catalyst, engine mount and gearbox. Mts company was born in 1986 thanks to its founder antonio sarri. Its goal is to acquire a maximum of deposits at the national level to create a real distribution network. It is from 1990 that mts opens to the international by working its relations with Germany or France. Today, 70% of its production is for the 24 countries that make up its network. In 1996, the company changes its legal form and goes from s. In 1999, mts obtains the iso 9000 certification of dekra. Mts today: - 30 years of experience - 14 deposits of ownership - mts produced 3,000 exhausts per day manages more than 20,000 items distributed in 24 European countries parts of the mts range: - exhaust muffler - catalysts - accessories (sleeve, clamp flange rod, bi-conical collar, repair hose, stapled hose sold by meter, rubber capsule ring). Ngk, in 1936 inspired the Japanese ceramics industry and developed spark plugs for the automotive industry. Ngk is present worldwide through its factories and trading companies. The products comply with the requirements of the car manufacturers. Ngk is a sponsor in Formula 1 and WRC Rally World Championship competitions. By simplifying, especially in technological innovation, the knowledge acquired in competitions is adapted to mass production. Other products offered by brand: lambda sensor glow plugs. Nrf was created in 1927. Manufacturer of engine radiator, harnesses, air coolers, oil coolers, boxcoolers and air conditioning equipment, nrf is present in all of their region of west. Some products: - air conditioning: 1700 quality products from the original air conditioning compressor to air conditioning condenser but also evaporator, engine fan and other equipment related to air conditioning. But also a range of air and oil coolers. Philips was born in 1891 in eindhoven in the netherlands. Its founders are the brothers Gerard and Anton Philips. From the beginning, the company produces carbon filament lamps. This activity makes the brand, one of the largest manufacturers in Europe. In 2009, it generated a turnover of 23.2 billion euros. This one has two founders: ernst sachs and karl fichtel. Between 1960 and 1980, the company absorbed several entities and brands such as Sedis, Huret, Maillard, Hercules and Rabeneick. Some examples of parts sachs: clutch kit thrust clutch shock absorbers. Sasic is a French company that "develops, manufactures and distributes automotive spare parts". The history of sasic: the company was born in 1927 under the name of santucci. From 1930, the company directs its activity towards the production and the marketing of mechanical direction. In 1965, the company began designing and marketing water pumps and from 1971, the name sasic appeared. It was born from the union between 2 competing companies: santucci and sicfa. From 1973, sasic joined the British group lucas. In 1974, sasic publishes its first French / English catalog dedicated to the Peugeot 404. Then, in 1982, the sasic range extends to brands such as audi, chrysler, mercedes or ford to name a few. In 1998, Sasic joined the French sevti group in 1999 to obtain iso 9001 certification. In 2002, the company expanded its business and began renovating the clutch through a new subsidiary, sadex, based in Normandy. In 2006, after launching its new range of hoses, sasic obtains iso ts 16949 certification and creates the range of damper pulleys. In 2012, the clutch renovation site obtains level 2 of the environmental management system (ISO 14001). Founded in 1947, the brand seim currently manages more than 4200 references cables cables brake, disengagement, accelerator, meter .., washing parts pipes, sprinklers, tanks, pumps ... It sells to 1500 customers small or large independent distributors, platforms .. In the 1950s, the firm became a renault subsidiary. In 2010, it is more than 80% owned by the Japanese group ntn and generates more than 500 million euros in turnover. Here are some products of the brand: - wheel bearing - timing kit - tensioner roller. Spilu is a Spanish manufacturer. Spilu is also a manufacturer of car optics. Thus, spilu is more than 5000 references in the rear-view mirror range and more than 2500 references in the lighting and signaling range. For example, there are auto parts such as: - exterior rear-view mirror-rear-view mirror- rear light- etc. Here are some examples: ventilation system and blower system fuel supply: injectors engine controls tire pressure sensors various electronic sensors windscreen washer systems and headlamps servomotors for central locking system. The Vernet brand is a company specializing in the automotive sector and more specifically in the field of: cooling. The group is also present in the sector of heavyweight and industry here are some examples of the products designed and marketed by the brand: Thermostat thermostat thermostat in plastic housing Electrically driven thermostat cartridge for bva cartridge exhaust thermostat for egrquelques dates: 1927: the company calorstat is founded by edgar b. 1950: metal bellows thermostats for cars. 1952: creation of the vernet company. 1962: acquisition of vernet by calorstat. 1971: Vernet settles in oulainville in France. 1972: creation by verne of its American subsidiary caltherm. 1990: opening of a new production site at five-march-the-pile in the lint-et-loire. 1995: simple vernice in argentine. 1999: the site of five-march-the-pile is enlarged. 2002: second expansion of the site of five-march-the-pile. 2006: implementation of the brand in China. Walker is an eine marke der tenneco gruppe. Walker believesert sowohl den erstausrüstungs-als auch den ersatzteilemarkt. Walker steht unter anderem für: - komplettlösungen zur abgasentgiftung (tenneco war zum beispiel an der entwicklung von rußpartikelfiltern beteiligt) - lambdasonden- schalldämpfer- auspuffrohrekatalysatoren (wobei walker wie die automobilhersteller auf keramik setzt). Mister-Auto, a French company founded in 2007, is one of Europe's leading online retailers of auto parts. Mister-Auto employs more than 100 employees, proud to deliver auto spare parts in 21 European countries. Nearly 2 million customers have already trusted mister-auto so do not wait! Our large catalog of more than 200,000 references allows you to find the parts you need, whatever your car model. And as the biggest equipment manufacturers trust mister-auto (valeo, bosch, castrol, purflux, monroe), you will find all the leading brands at discount prices! Opting for mister-auto means enjoying a set of advantages: better market prices, free shipping from 60, secure payment, returns within 15 days, fast and reliable delivery. Mister-auto has developed its own brand bolk. The bolk products ensure you an excellent quality / price ratio with more than 2000 references for all makes and models of car. Finally, the satisfaction of our customers is a priority for mister-auto. That's why we make every effort to ship and deliver your orders as quickly as possible so that you can maintain or repair your car as quickly as possible. Mister-Auto offers a delivery time of 72h, at a fixed price of 5.95, and uses the largest carrier networks like gls. You can also enjoy free shipping from 60 purchase. You can choose to have it delivered directly to your home or workplace. Unfortunately, we do not provide delivery in the overseas departments and territories, Corsican and military areas. At mister-auto, we make every effort to ensure that you are satisfied with your purchase, however we are aware that you may one day be required to return or cancel an order. Before returning a product, please read our terms and conditions. Any returned product must be in good condition (unused and free of mounting traces) and complete (packaging and documentation are present). You have a period of 30 days to return your product in its original packaging while making sure to ensure that your package is carefully packaged. You must include a copy of your proof of delivery of your product (s). Please contact us for the return address do not return the product (s) to the address mentioned on the invoice. Any item returned without authorization will be refused. Mister-auto bears the cost of return. Mister-auto can not be held responsible for lost or damaged packages during transport. The item "ate rear brake kit (pre-assembled) smart city-coupe fortwo 03.0520-6522.3" is on sale since Tuesday, March 8, 2016. It belongs to the category "cars, motorcycle parts, accessories \ auto \ parts \ braking Complete brake kits. The seller is "mister-auto-fr" and is located in / in lyon.